We offer spiral notepads available with 20/40/80/100 sheets in A4, A5 and A6 paper sizes. Spiral pads by us have perforations or gum binding at the top of each page. These spiral notepads can be used for inter-office communications, secretarial drafting, and shorthand dictation. 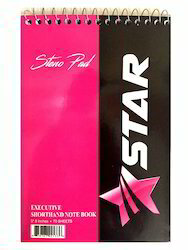 As a quality driven enterprise, we are engaged in providing a high quality range of Spiral Shorthand Notepad. 6" x 8" Shorthand Pad. 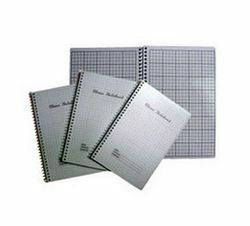 A qualitative range of Steno Books is being offered by us at industry leading prices. These books consist of many pages of ruled sheets, which can be conveniently used for taking different notes. Moreover, these are sourced from reliable vendors, whose paper is qualitative and biodegradable. We offer high quality notepads printing and designing.Wrapped in beautiful covers with high quality papers, our Notepads are used as an essential accessory for making business run smoothly. Extensively used for inter-office communications, secretarial drafting and shorthand dictation, these are designed as per the individual requirements of the clients’ business.